1. Eat Breakfast. I am notorious for letting myself go through the morning without eating any breakfast! This also doesn't help my body either when I have no morning boost to my metabolism! I am going to try to even eat something as little as a banana or apple to try and start up my body and get healthy! 2. Moisturize. This may be a weird goal but I know it needs to be something that is done! If I want to avoid premature wrinkles I should probably start moisturizing ASAP! For most of my life I don't remember ever moisturizing my face. I have combination oily skin so I always thought that if I added moisturizer that it would cause my skin to become even more oily. I was at Sephora the other day and found a moisturizer from the beauty line, Boscia, that will hopefully suit my skin type! I hope this will help! 3. Save. Save. Save. I am definitely a girl and love to shop! Sometimes it gets out of hand and I spend a little more than I should! Before purchasing an item, I am going to ask myself "Do I really need this?" "Will I keep this for a long time?" "Do I feel like a million bucks in this outfit?" If the answer is no. Then I will save that cash for another day. 4. Eat out less. I love food. I enjoy going to different restaurants and getting a little taste of what they have to offer but I realize that sometimes it is a bit unhealthy and also costly! This goal relates back to #3 and saving those big bucks for another day! 5. Motivate myself. When someone asks me to do a task I usually go full force and do that task to the best of my ability and I can be accountable for that. When it comes to myself and knowing I need to get things done, I am a little less motivated. I want to try and motivate myself and push myself to work harder so at the end of the day I feel like I did something! 6. Be Better. Sometimes I overthink things, and think about that moment instead of the bigger picture. I feel like I have been improving on that, but I want to continue with this goal and remember that sometimes the little things are just the little things, and I should look at what is really important. 7. Think before I speak. There are moments when I honestly feel like I have a speech impediment because words come flying out of my mouth before I can even think about what I am saying! I really want to work on slowing down my thought process and let all the thoughts run through my brain before I speak so I don't sound like I'm speaking mumbo-jumbo! 8. Little by Little. This goal is a little bit more school related. As most of us are, I am a procrastinator. I like to leave things until they absolutely have to be done. If someone else asks me to do something I tend to be a lot quicker with completing the task, but if it is anything for myself...let's just say that it is out of the window and lost, until I need to go looking for it! I want to try and keep up with my studies daily and understand the concepts instead of just memorizing them! 9. SLEEP! I always find myself staying up until midnight or sometimes a little past midnight even when I have to get up early the next morning! I want to try and aim to go to bed myself, instead of just fall asleep while using my phone or laptop! 10. Relax. Sometimes I don't know how to do this. I need to learn. 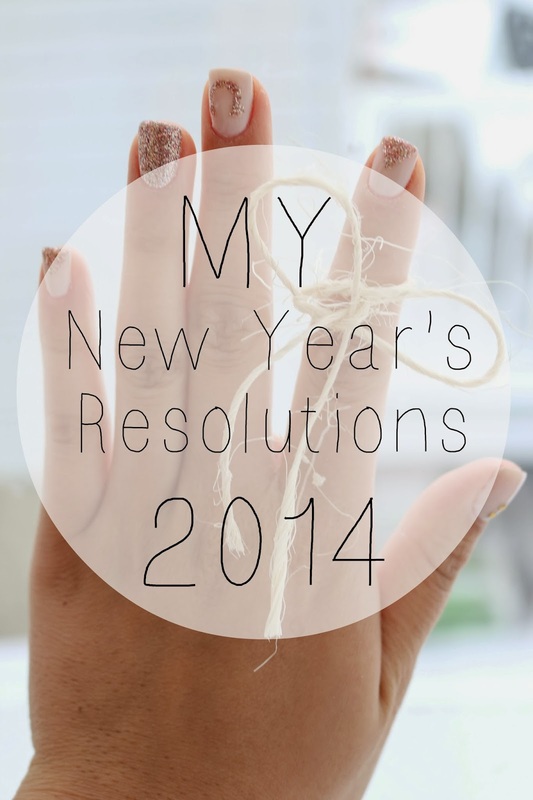 Have you made any New Year's Resolutions yet? If so, what are they? Mani Monday | Holy, Pink Sparkles!